Pleased to announce Joe will be returning to the Art Yard Sale in Brighton Sunday 2 June 2019. More details to follow, a new silkscreen will be released on the day. A special introductory price applies to the first 20 sold online. As usual the first sales with be heavily discounted for subscribers, collectors and followers on social media. The artwork will be available at a introductory price of £125 for the first 24 hours of it's release, (£195 afterwards) or until half the edition has sold. I'm extremely happy with this particular piece, which applies a handprinted 'blend' method to get a gorgeous blend of luminous colours peaking through the lines and dots - the blend colours on each silkscreen differs, making each piece different and unique. It's important to me that the artworks are well crafted, high quality hand printed silkscreens as opposed to digital print. I believe silkscreening produces much more vibrant colours and beautiful textures and hold their value as artworks much more than digital methods. The colours should also stand the test of time, rather than fading like digital prints can. Do keep a look out for the new piece on my online shop next Saturday! A reminder email will be sent out. In the meantime please feel free to watch the video here which illustrates the printing process. 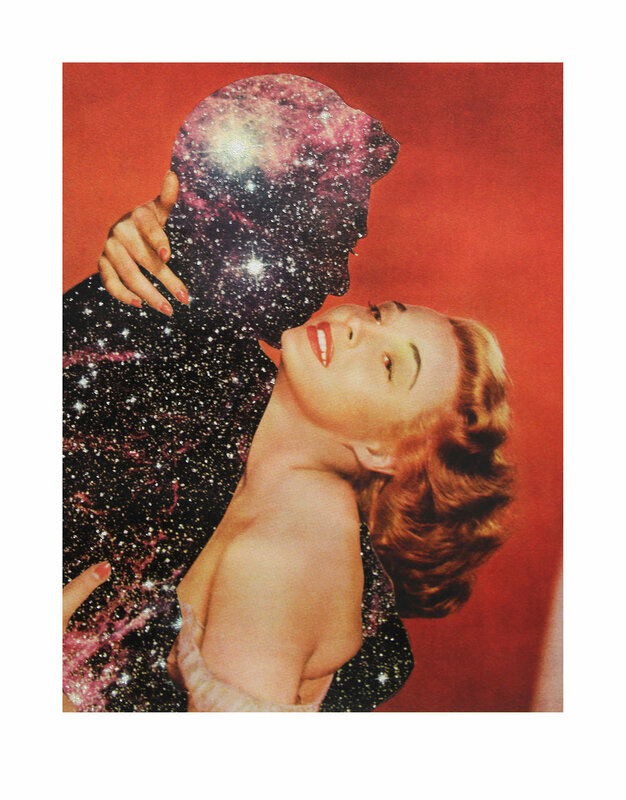 You can now purchase Joe Webb silkscreens, giclees and originals in interest free monthly instalments. Visit www.joewebbart.com/instalment-store/ to see available artworks under the instalment plan. Two new silkscreens 'Transmission' and 'Building Blocks' are due to be released at the Art Yard Sale 3/6/2018. Snap up Joe's latest limited edition silkscreen release, the spectacular 'Stirring Up A Storm', at an exclusive pre-show discount using the codes 'LOSTANDFOUND' (regular edition) or 'DDLOSTANDFOUND' for the Diamond Dust edition. The first 'early bird' shoppers to order a print from 9am on Saturday 21 April will receive £50 off. To take advantage of this offer please click here. A donation will be made to The Rainforest Foundation UK from the sale of each 'Stirring Up A Storm' silkscreen print. Read Joe's NEW interview with The Fall magazine here, discussing his new exhibition and what art means to him. Joe's 'On A Platter' collage features as main sleeve art on the NEW album by iconic 80's/90's band TEARS FOR FEARS. Visit www.tearsforfears.com for album and tour details. New limited edition 6 colour silkscreen print published by Jealous Gallery. Measures 85x85cm. Part of the Dark Matters solo show running until 29th October. A new large scale canvas 'One Day The Sun Will Kill Us All' and original collages will be on display at the London Art Fair 18-22nd January 2017. 'Super Conductor II' is now on display at the Saatchi Gallery as part of the 'Jealous Needs You' group exhibition. The show runs from 5th January - 16th February 2017. Joe has produced a new painting for the 'Peace One Day' charity auction. All proceeds of the painting sale go to the 'Peace One Day' to promote awareness for the worlds official day of peace. The auction is online on www.paddle8.com from 21st September. Other artists involved in the auction include Anthony Gormley, Damien Hirst, Jake and Dinos Chapman, Marc Quinn, Barry Reigate, Dan Baldwin, Harland Miller, Nacy Fouts and more. 3 new silkscreen prints have been launched recently - Citizens Of Earth, Super Conductor and Playing God. Each print applies a 4 colour CMYK silkscreen printing method to get a full spectrum of bright colour that is true to the original collages. A selection of Joe Webb's work is now on show at London's Hang Up Gallery - including new large scale paintings produced recently. Joe's original collages are also displayed in Hong Kong's Cat Street Gallery 'Signal 8' exhibition this summer - 18th July - 20th August 2016.